Researchers at the University of Southampton have received a share of more than £4m in funding to develop sensors capable of working in extreme ocean conditions. Two projects at the University, and a further two with University involvement at the National Oceanography Centre (NOC) in Southampton, are among five to be awarded a total of £4.3m by the Natural Environment Research Council (NERC). 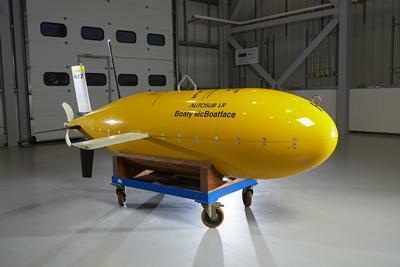 The sensors that will result from the projects – designed to be compatible with autonomous underwater systems such as NOC’s autosub Boaty McBoatface – will be able to perform a variety of functions at sea, helping researchers to answer questions about our changing oceans. BioCam - Mapping of Benthic Biology, Geology and Ecology with Essential Ocean Variables, led by Dr Blair Thornton. This project will develop a 3D visual mapping system to obtain detailed colour images and topographical measurements of the sea floor, such as measuring the cover of live cold-water coral within marine protected areas. This sensor will be able to integrate with autosub, ALR and ISIS underwater platforms operated by NOC. 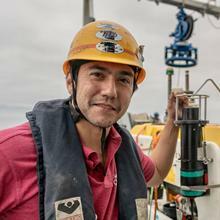 Dr Thornton said: “This is an exciting opportunity for the University of Southampton to develop the next generation of seafloor 3D imaging technology for marine robotic systems. “BioCam will allow vast regions of the sea floor to be visually mapped to generate high-resolution 3D reconstructions that can be seamlessly visualised and explored. Single Turnover Active Fluorometry of Enclosed Samples for Autonomous Phytoplankton Productivity (STAFES-APP), led by Professor Mark Moore. This project will develop an active chlorophyll fluorometer sensor capable of measuring how phytoplankton –marine micro-organisms that play a key role in the Earth’s carbon cycle – process carbon for food in situ. It will be able to monitor and understand this process from the smallest scales up to oceanic basin scales. Professor Moore said: “This represents a really exciting opportunity to develop the next generation of instruments for the in-situ autonomous measurement of primary production in the oceans. “The development of STAFES-APP will facilitate a step change in the scales over which we will be able to observe primary productivity within the biggest environment on Earth. “Oceanic phytoplankton are responsible for around half the primary production on the planet, but our ability to monitor how this process varies in time and space is still relatively basic. 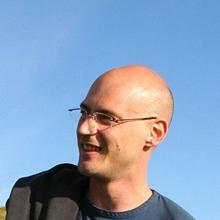 In addition, Professor Matt Mowlem is leading two projects for the National Oceanography Centre. One will develop miniaturised laboratories able to perform seawater chemical analysis to detect nutrients and micronutrients, while the other will create a sensor capable of taking the first autonomous measurements of the seawater carbonate chemistry from the surface to full ocean depth. The NERC funding is part of £61.5m being awarded by the Industrial Strategy Challenge Fund (ISCF) to the latest ground-breaking research and innovation projects in robotics and artificial intelligence systems. This in turn is part of a £93m government investment announced in the Budget earlier this year. The programme aims to develop robotic solutions to make a safer working environment in industries such as off-shore energy, nuclear energy, space and deep mining, increase productivity and open up new cross disciplinary opportunities, not currently available. The ISCF is a strategic element of the Government’s Industrial Strategy that aims to ensure the UK continues to be one of the best places in the world for science and innovation. NERC, the UK’s main agency for funding and managing research, training and knowledge exchange in the environmental sciences, is taking a leading role in delivering this funding to ensure the UK secures maximum benefit from science and innovation. Blair Thornton is an Associate Professor of Oceanic Engineering Science within Engineering and Physical Sciences at the University of Southampton. He currently holds an EPSRC innovation fellowship to develop passive underwater robotic systems for scalable seabed imaging. Mark Moore is Professor within Ocean and Earth Science, National Oceanography Centre Southampton at the University of Southampton. 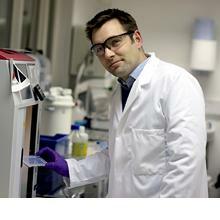 Dr Matt Mowlem is part of the Institute for Life Sciences at the University of Southampton.